This article has been taken directly from here. The Pacific Maritime Association, representing employers at 29 West Coast ports, will suspend vessel loading and unloading at all ports starting Thursday, and again on Saturday, Sunday and Monday, amid stalled labor contract negotiations with the International Longshore and Warehouse Union. 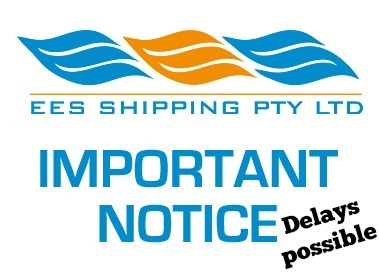 The four day suspension coincides with “premium-pay” weekend and holiday vessel operations, which command a pay rate premium of at least 50% compared to the basic longshore wage rate, according to PMA. The four dates affected by the suspension of vessel operations are Thursday, 2/12 (Lincoln’s Birthday); Saturday, 2/14; Sunday, 2/15; and Monday, 2/16 (Washington’s Birthday). Yard, rail and gate operations are expected to continue at terminal operators’ discretion. The Pacific Maritime Association says that its members have concluded that it makes no sense to pay such high rates for full shifts of ILWU workers when productivity is severely diminished. The previous six-year labor pact between the PMA and ILWU, representing some 20,000 dockworkers, expired on July 1. A federal mediator joined the negotiations in early January, however the two sides have obviously failed to reach a deal.